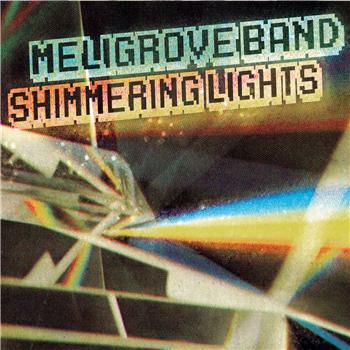 The Meligrove Band’s latest record, Shimmering Lights, is inoffensive. While I went into this record hoping that I’d fall in love, I didn’t. Perhaps that’s my problem. I go into Meligrove Band records with high expectations, as their live shows, are such great parties, but the albums never live up to the fun experience of their concerts. The record consists of 10 good pop songs, but of those ten songs, there’s nothing extraordinary, there’s nothing fabulous. It’s good background music. It seems to be a consistent theme.